A new tree carving in Lakewood Park in Tecumseh will feature the likeness of Antoine de Lamothe Cadillac and René-Robert Cavelier, Sieur de LaSalle. 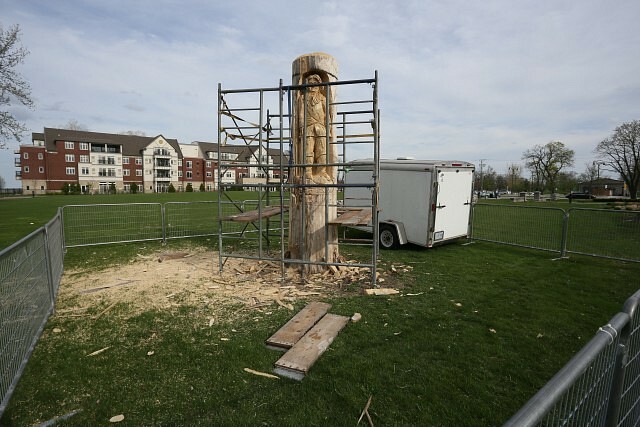 The project began when it was determined the tree would have to be removed; the town instructed the tree removal contractor to save the top 15 feet of the tree to accommodate the artwork. The salvage allows the saving of a portion of the history of Lakewood Park as the tree is estimated to be more than 100 years old. In addition to the carving, a new historical storyboard is being created for the former Lakewood Golf Course and Clubhouse which will be displayed on the wall of the new building at Lakewood Park. 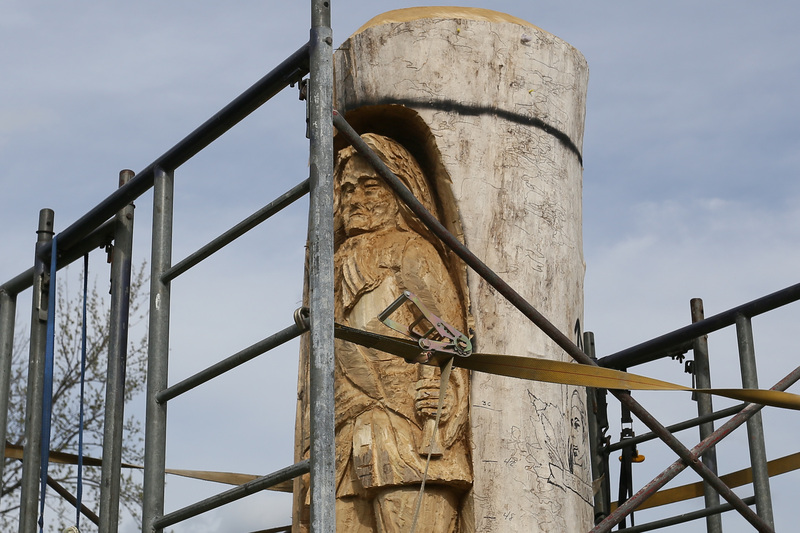 Crews have prepped the site and work to carve the images by Erie Treasures Custom Chainsaw Art began May 2nd and will continue for approximately two weeks weather permitting.